A greenhouse partition enables you to create two separate growing environments for your plants. If you have room for a large greenhouse then you might consider segregating part of the greenhouse off for growing a different range of plants. Another practical reason for choosing a greenhouse partition is to create an area that you can heat in the winter for overwintering plants. As you would expect heating part of a large greenhouse will work out significantly cheaper than heating a partially filled large greenhouse. Here we take a look at how our customers use their partitions. You may want a separate area for sitting and relaxing or perhaps an area for growing a range of exotic plants. Any four panel or longer greenhouse from cultivar can have a partition irrespective of the greenhouse width although partitions tend to work best in the wider structures. These have a decent door width of 2′ 10″ (860mm) which is wide enough for most wheelbarrows and wheelchair access. The door can be hinged on either side opening toward or away from you as you wish. If buying a greenhouse from cultivar we would show this on a drawing for your approval prior to manufacturing to be sure your wishes had been translated. In most instances there’s a break in our greenhouse at two (5’4″) or three panels (7’9″) so the partitioned area might be this size for example. Each partition is glazed to the ground in 4mm toughened safety glass and can be locked. 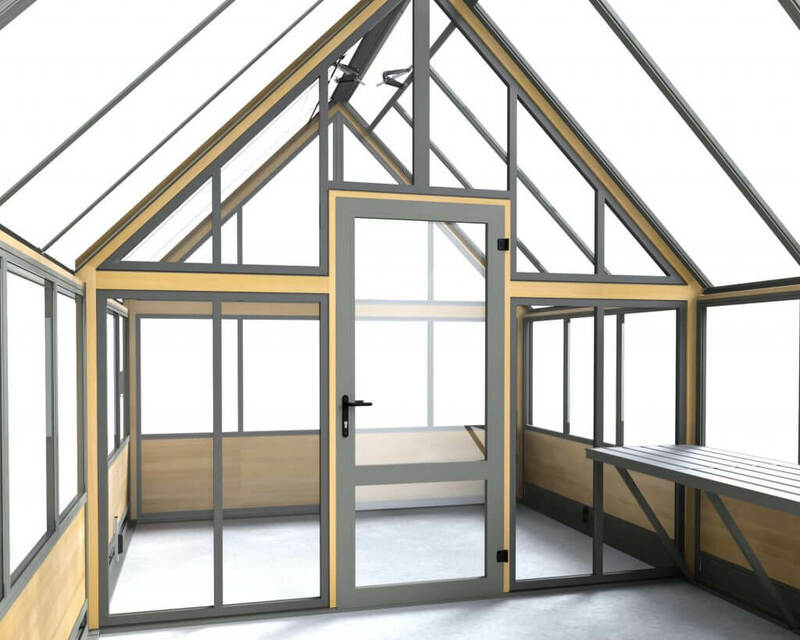 Example of glazed partition on a 10ft wide planthouse model. 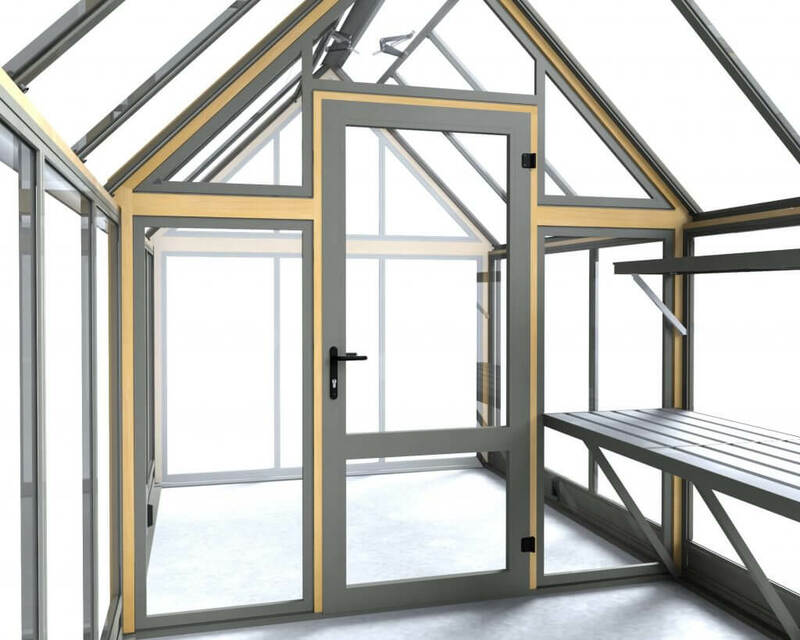 Partitions are available in both our wooden and aluminium greenhouse range.